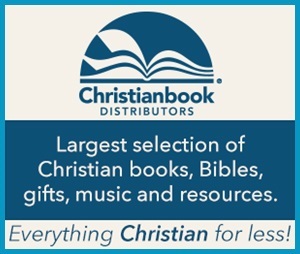 I LOVE FREE BOOKS, and Sonlight Curriculum has published a free online book for you! Would you like some summer encouragement from moms who have been there, and done that? This book is for you! Ever feel overwhelmed and wonder if homeschooling is worth it? Want reassurance that it’s the right thing to do for your family? It Was Worth It! 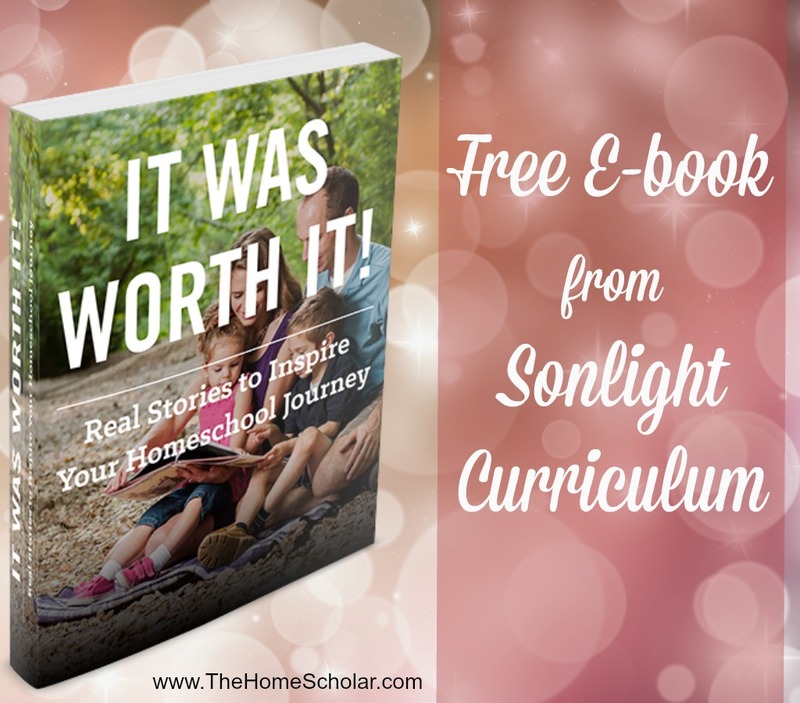 Real Stories to Inspire Your Homeschool Journey, sponsored by Sonlight Curriculum, is a must-read for parents who want to give their children the best education ever. Whether you’re a new homeschooler, a veteran or simply homeschool-curious, you’ll learn from and be encouraged by families who’ve gone before you. 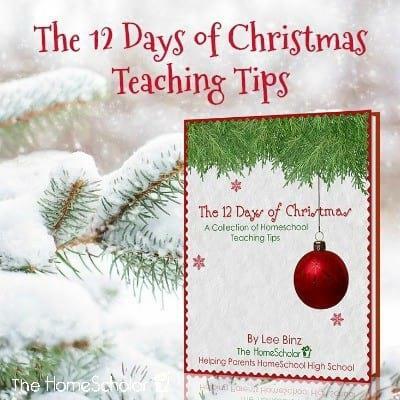 Get the inside scoop from a host of homeschoolers who accepted the challenge, stayed the course and lived to (joyfully) tell about it! Homeschooling in the spring means we can think about our garden, now buried in over 2 feet of snow. We can consider what vegetables we will plant, that once summer comes, we will enjoy the fruits of our labors. It is wonderful to have the children plan, shop, plant, tend, and harvest from our small city garden. My 10 year old will share the fruits of our labors(fresh picked vegetables) with the children on our block, who are fascinated with the garden (plants and critters) each year. Knowing that winter is followed by spring brings great joy! Homeschooling THIS spring will mean my high school junior will be one year closer to graduating! How can this be? I recall the times (spring season?) when I would watch him as a toddler feeding the ants outside next to our garden. This year, I will be so mindful of the fact that he is on his way to beginning a new phase of his life, college! I am so grateful to God and my husband for the opportunity to have homeschooled him from the beginning. The years still remain for his sisters, grades 9 and 4. My husband read me all the entries on the way home from church today (without revealing any names). I liked this comment because it made me remember all the great times we had homeschooling in the Spring as well. Thank you everyone for participating. Aubrey, I'll send you your conference tickets by email. Do you enjoy these daily doses of high school homeschool wisdom? Sign up to get them delivered via email or reader! Homeschool Blog Awards! Vote Early, Vote Often! OK, everyone. Matt here. Voting is open for the homeschool blog awards and Lee really needs some help! She has been nominated in two categories. Best Curriculum or Business Blog and Best Encourager. If you would like to vote for her in either (or both) of these categories, go to the links above and click on the dot next to The HomeScholar Helper. Lee is definitely the dark horse in both categories and it will take your help for her to win! Voting is open until midnight November 21. but please vote today! One vote per category per person in your family so grab your husband and at least 3 of your kids as well! Turnout is expected to be heavy and will all depend on whether Lee's prime demographic takes the time to vote. That's right. It's all boils down to you latte-drinkin', power-walkin', twitter-talkin' homeschool moms out there. (voice-over) I'm Matt Binz and I approve this message. And we have a winner of our November newsletter forwarding contest. Gina in VA won "Gifted Education at Home." Gina was chosen at random from everyone who forwarded the newsletter. Thanks Gina for helping spread the "good news" about homeschooling high school. For all of you "not-yet-winners," we have ANOTHER CONTEST running this week. Just comment on this blog post Enter today to win! 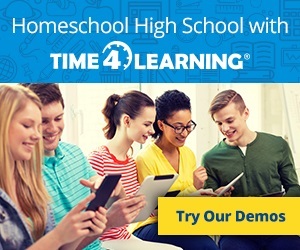 with your biggest question about homeschool transcripts and you will be entered to win Lee's "Gifted Education at Home" CD. The contest ends on Friday on so far, only three have entered, so your chances of winning are great! 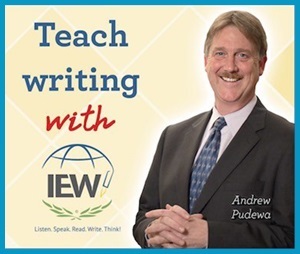 Plus, you will help Lee put the finishing touches on her new e-book "The Easy Truth About Homeschool Transcripts." "Don't Let Me Mess Up!" "Do not let me be put to shame, nor let my enemies triumph over me." There is a solution - a solution with a promise, in verse 3. "No one whose hope is in you will ever be put to shame"
Focus on the Lord, and have hope in him. Don't worry about receiving shame from others, but do what is right for your family. Don't forget to enter our TWO GREAT GIVEAWAYS Contest. These are easy to do and the prize is great HomeScholar products. The deadline is coming soon!